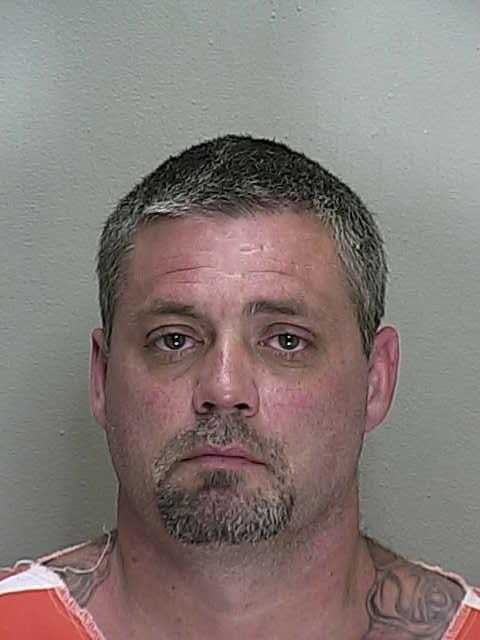 Ocala, Florida — An attempted traffic stop turned into a high speed chase earlier this week, leading to the arrest of a career criminal. On May 17, 2014, Deputy Tortora was traveling west in the 2000 block of SE 59th Street, when he saw a black Ford pickup truck traveling westbound at a high rate of speed. Deputy Tortora visually estimated the trucks speed to be approximately 80 MPH, 40 MPH over the posted speed limit. It was later learned that the pickup was actually traveling at speeds over 100 MPH. According to reports, Deputy Tortora began pursuing the vehicle without his emergency lights activated. The deputy’s patrol vehicle reached 90 MPH without closing any distance between the suspect’s vehicle and the deputy. The driver of the pickup, later identified as Carl Stiles, 37, pulled over in the 800 block of SE 59th street, but when the deputy activated his emergency lights, Stiles fled. Deputy Tortora then activated his sirens and began to chase stiles. During the chase, Deputy Tortora attempted a PIT maneuver, however, Stiles hit his brakes causing his pickup to slide down the side of the deputy’s patrol car. Stiles ran stop signs, red lights and maintained speeds between 70-80 MPH. After several unsuccessful attempts at a PIT maneuver, stop sticks were deployed in the 4100 block of east HWY 484. After Stiles’ tires were punctured, he continued to flee from deputies, driving through a field and chain link fence. Stiles finally stopped his vehicle after he drove into a retention pond. After Stiles was taken into custody, he told deputies that he had thrown a bag of cocaine out of his sunroof during the chase. According to reports, Stiles stated that he knew he would “run” if he ever saw flashing red and blue lights behind him. Stiles did not have a valid driver’s at the time he was arrested. He is charged with Driving While License Suspended (Habitual), Flee and Elude with Lights and Siren Activated, Possession of Cocaine, Tampering with Evidence and Criminal Mischief (breaking fence). According to court records, Stiles has an extensive arrest history. He has been incarcerated more than a dozen times in the past 14 years.